Sheryl Sandberg is warning that women may face backlash in the workplace amid the #MeToo movement. Sandberg, the chief operating officer for Facebook and the author of "Lean In," a 2013 book empowering women in the workplace, said that senior male managers are often afraid to be alone with a female colleague, partially out of fear of being accused of sexual harassment. That fear could prevent women from being hired, mentored and promoted — or even talked to — Sandberg said in a Facebook post on Sunday. "This is a critical moment for anyone who faces unwanted sexual advances at work. Sexual harassment has been tolerated for far too long in the halls of government and companies large and small. For the first time in my professional life, it feels like people are finally prepared to hold perpetrators responsible," she wrote. Sandberg's comments come during a wave of accusations of sexual misconduct against high-profile men, much of it spurred by the social media hashtag #metoo, which encouraged women to share stories of harassment and more. While Sandberg wrote that she has never been sexually harassed by a male superior, she listed several other instances of unwanted sexual advances she's received, including "a hand on my leg under the table at a meeting" and a man at a conference who banged on her hotel room door late at night until she called security. In her Facebook post, she said she feared a backlash would prevent this watershed moment from leading to a more equitable workplace environment for women. "I have already heard the rumblings of a backlash: 'This is why you shouldn’t hire women.' Actually, this is why you should," she wrote. "And you shouldn’t just hire women — you should mentor, advise, and promote them." 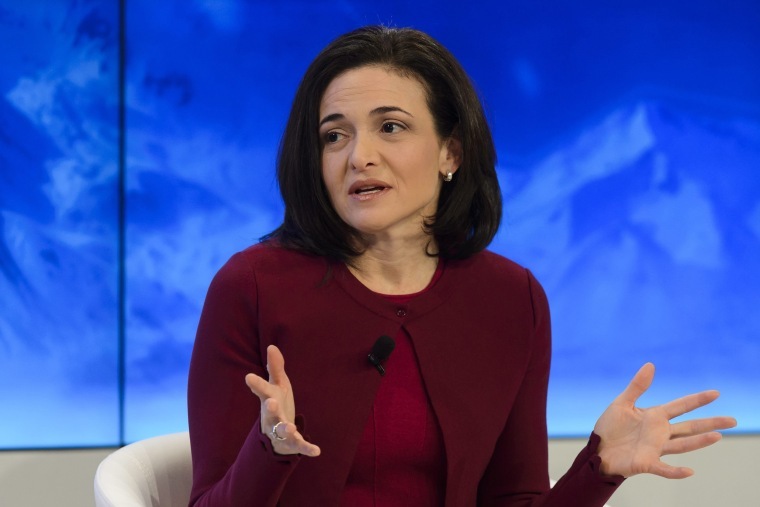 As a woman in the tech industry, Sandberg is a minority. Only 26 percent of the professional computing jobs in the 2016 U.S. workforce were held by women, according to the National Center for Women and Information Technology. Not only is the industry mostly populated by men, but the attrition rate among female technology professionals is significantly higher due to lack of mentors, gender bias and unequal growth opportunities, according to studies. These numbers don’t even account for the affect sexual harassment alone has on female employment in the technology industry. According to “Elephant in the Valley,” a survey on females working in tech, 60 percent of women reported unwanted sexual advances, and 65 percent received advances from a superior with half receiving the advances more than once. Sandberg called herself “lucky” because she did not experience sexual harassment from anyone she worked under — only outside professionals.